The expectation that SF requires world building is just that - a convention, nothing more. Why should a writer be forced to bow to such conventions? I read this and found I was gulping it down -- and then went back and re-read Oryx and Crake (for the 4th time). I think Atwood did a beautiful job of revealing the world within the story -- I had been looking forward to this and was not disappointed! I had been looking forward to reading this, and when I got it, wound up gulping it down (and then going back to Oryx and Crake to read that again). 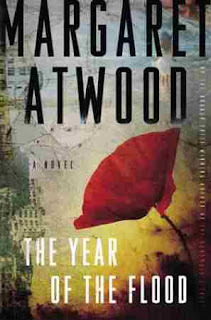 I think Atwood's writing here was just as enjoyable as in Oryx and Crake, although I felt the world in Year of the Flood was more revealed to the reader. Wonderful book! Liviu, of course I don't mean that fiction can or should do without those essential, telling details which ground it. However, I feel that the emphasis on elaborate world-building in SF often functions to the detriment of other elements. And leads critics/reviewers/readers to continue making an unfortunate distinction between genres. Regarding world-building it's always a balance between too much and too little, but for me one of the reasons for reading and enjoying sff a lot is precisely that the world of the respective novel or ss is different, is a "strange" character if you want, so I want it to feel "real". If I want only beautiful prose or psychological insight I would stick with the Nobel prize calibre writers of which I read quite a few along the years and still read when I want that. Coming to genres, I strongly believe that core-sf is quite different from the rest in scope and goals - a novel like Incandescence/Egan for example is a good example of what I mean, Anathem is another. Yes, Liviu, I understand that's what a lot of SF readers want. I just don't happen to be one of them - or to write for them. Why should I be obliged to use criteria that are too limiting to me? ¿Un futuro visionario? ¿Una ficción? ¿Una historia de amistad? Me quedo con lo último. Magistral.